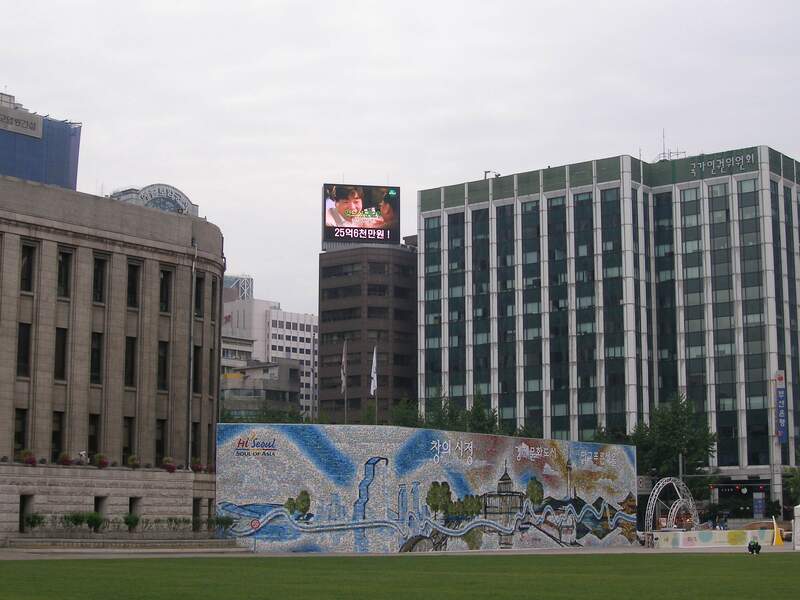 Sylver Kang, Producer of Public Marketing with Art & Culture Craft from Seoul, Korea have created this Mosaic Art Fence for City Hall of Seoul. 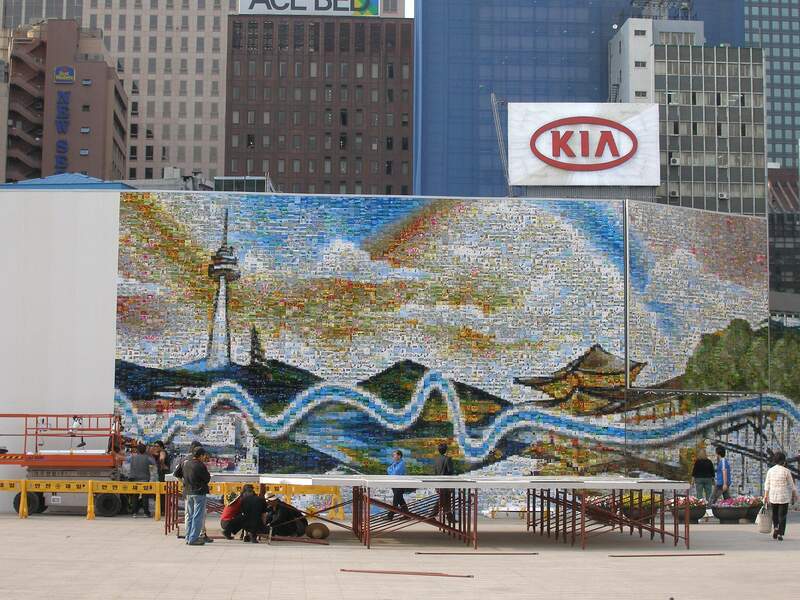 60,000 mosaic pictures in the safety fence was set up around the new Seoul City Hall building work site. The fence is 8-meter height and 90-meter long. 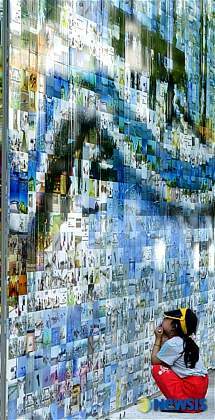 The mosaic made from 60,000 photos was saved as 62 blocks spread on the wall. Each block file size is 1Gb. 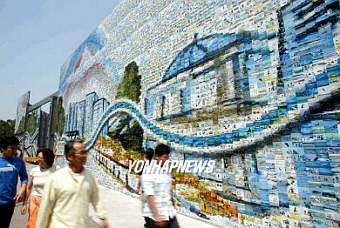 The mosaic pictures, showing scenes of Seoulites everyday life and the Hangang River, as well as major projects carried out by the City of Seoul under the helmsmanship of Mayor Oh Se-hoon, are attracting the attention of passersby. 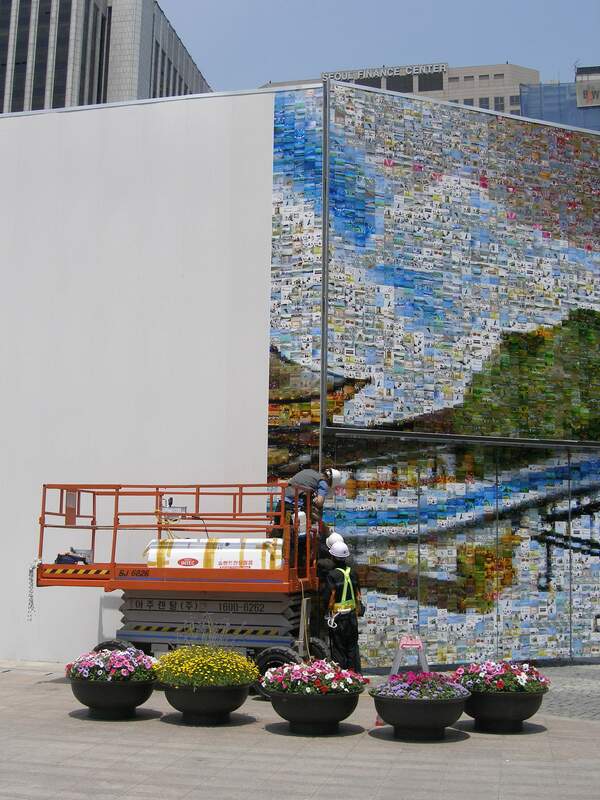 The mosaic fence shows that even a construction worksite can be transformed into an art space. It is also designed to set an example for the Urban Design and Urban Gallery Projects carried out by the City of Seoul.